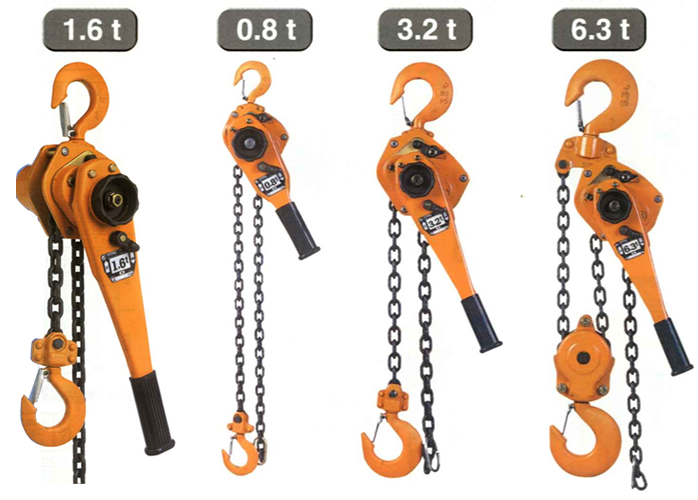 VITAL CHAIN BLOCK, LEVER BLOCK, AND HANGERS | KOYO INDUSTRIES CO., LTD.
With High-hardened special alloy steel load chain , and equipped. 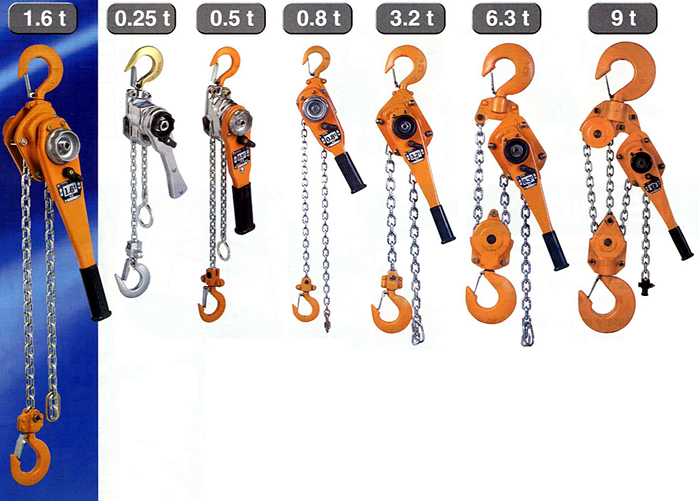 With a thrust bearing on the botton hook. 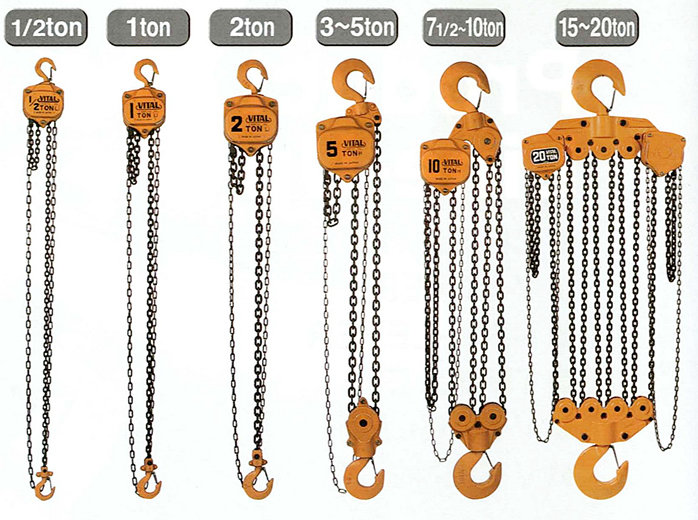 With a hardened special alloy steel load chain. 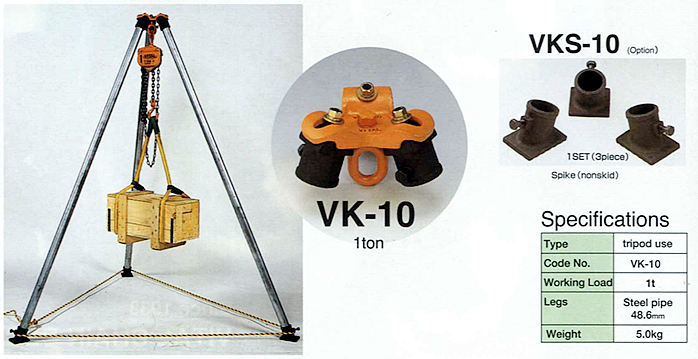 If logs or iron pipes are at hand a dependable support for the chain block can be easily erected with a single apanner.